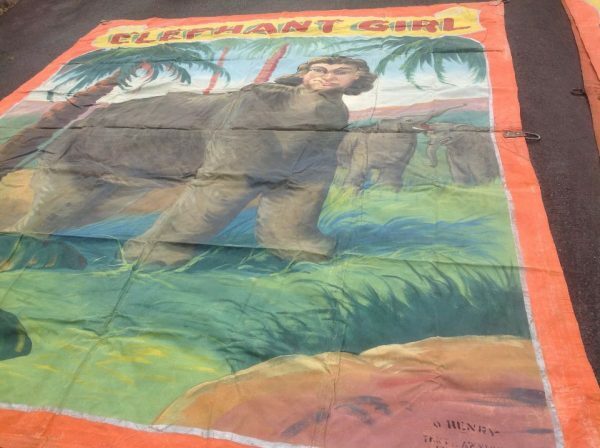 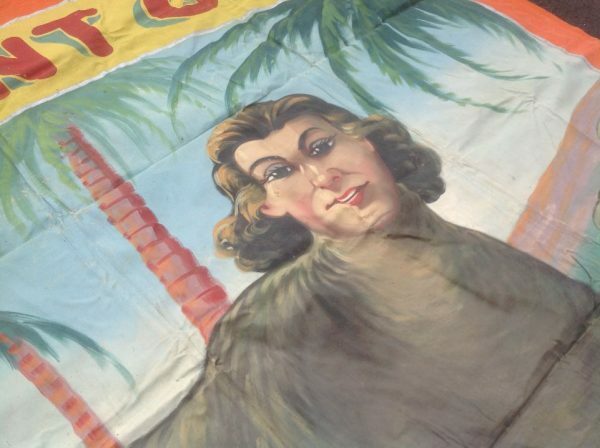 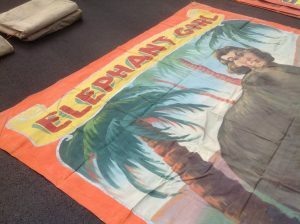 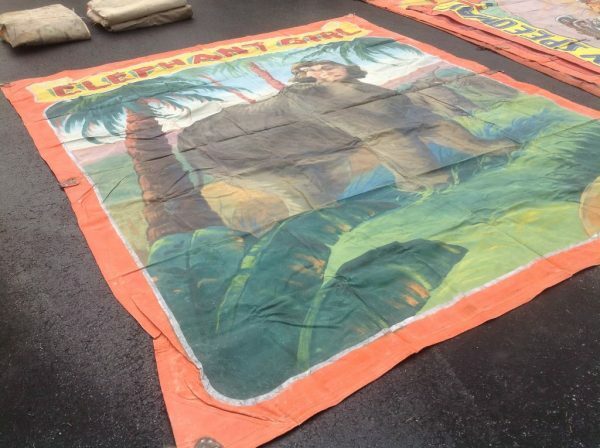 Vintage, old carnival sideshow Elephant Girl freak banner in as found condition. 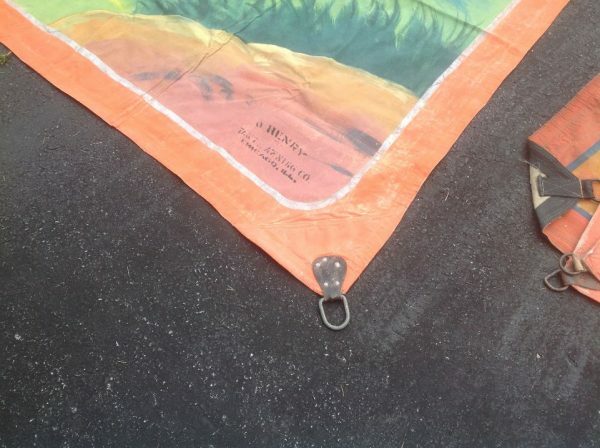 Signed O’Henry tent company, the same company Fred Johnson painted for. 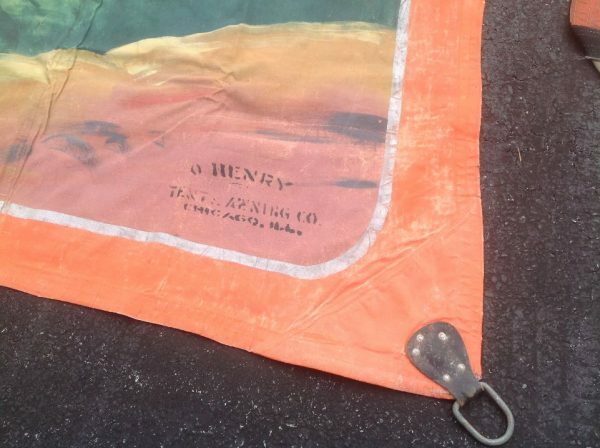 Looks to be his style and hand, so we are going to attribute this banner to Fred Johnson; although, it’s not signed by him………..